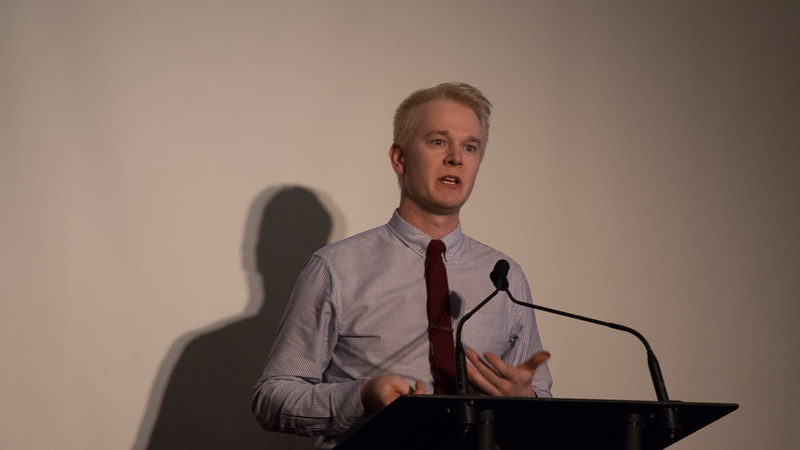 Current vice-president (external) Reed Larsen will become the next president of the Students’ Union, taking 56 per cent of the first-place votes in the third round. 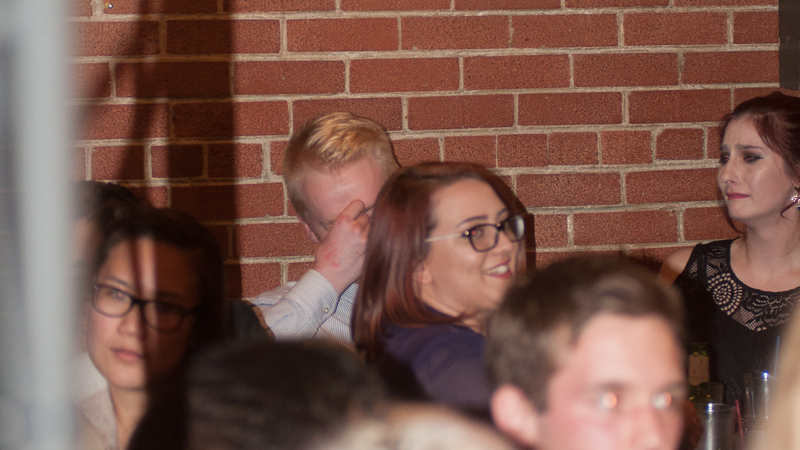 Voting took three rounds, with candidate and current vice-president (academic) Shane Scott being eliminated in the second round, and current vice-president (student life) Ilya Ushakov being eliminated in the third. 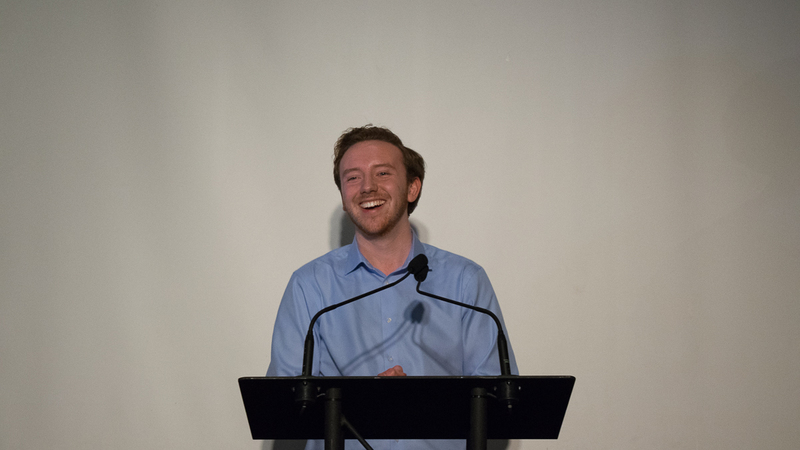 In his speech, Larsen wished his fellow candidates “nothing but the best throughout their entire lives” and said they were part of the “family” he built throughout his three years in the Students’ Union. He also thanked his campaign manager Victoria DeJong, and credited her for getting him to run for president. 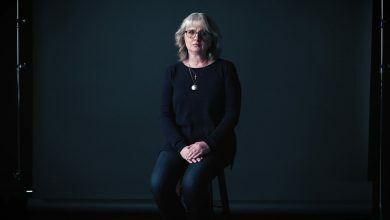 “I considered not doing this for a long time, I was in a bad place for a while, and one of the few people who reached out to make sure I was ok… was Victoria,” he said. Shortly after the results were announced, Ushakov left the building. He declined to comment. 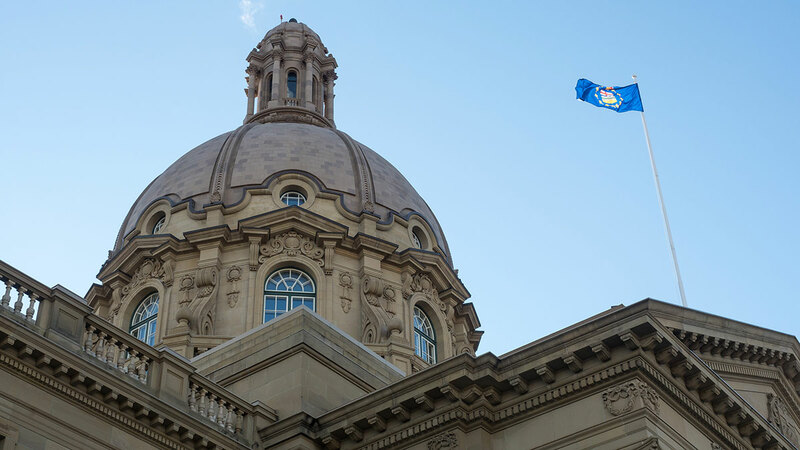 Larsen said there were a lot of things to think about going forward, such as engaging with both the provincial and federal governments, and completing his term as vice-president (external). He also said that dealing with the deferred maintenance in the Myer Horowitz theatre will be on the agenda since the Student Events Initiative referendum failed. 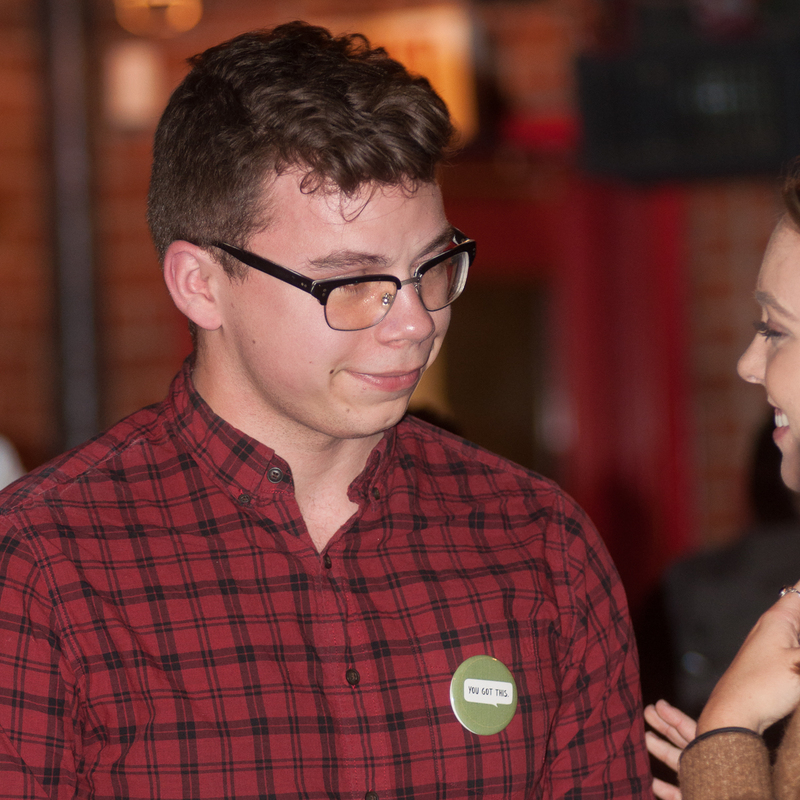 Commenting on the results, Scott said he felt “disappointed” and thanked everyone who supported him and his vision for the Students’ Union. 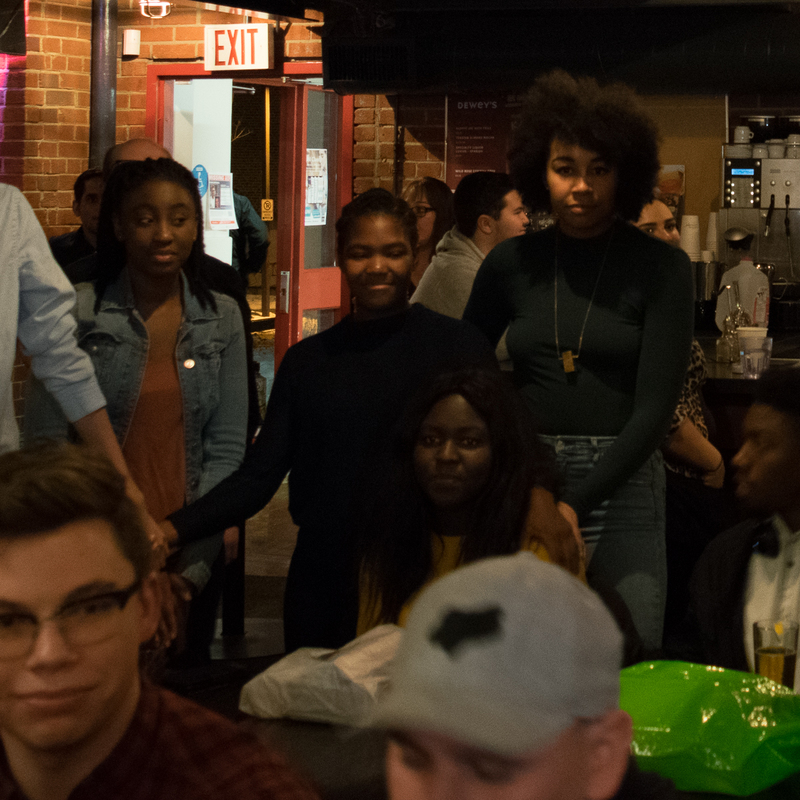 “I still think there’s room for it to be a lot more inclusive and welcoming of everyone, and I hope next year’s executive will keep that in mind,” he said. Larsen also thank his supporters who have been with him since he joined Students’ Council three years ago, and made a reference to his first run for vice-president (external) where the platform points on his campaign poster spelled out the acronym METH. 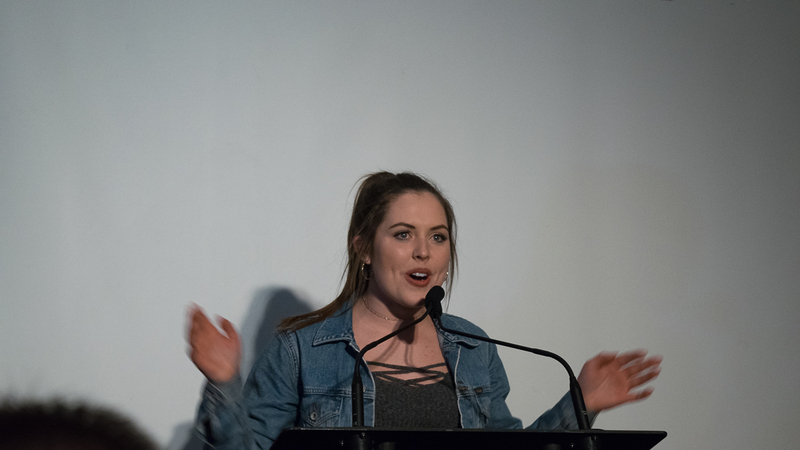 With 69 per cent of the first-place vote, Emma Ripka will serve as the next vice-president (operations & finance). Joke candidate Donald Straump/Jesse Benoit lost with 17 per cent of the vote, but said he was still happy with the results. 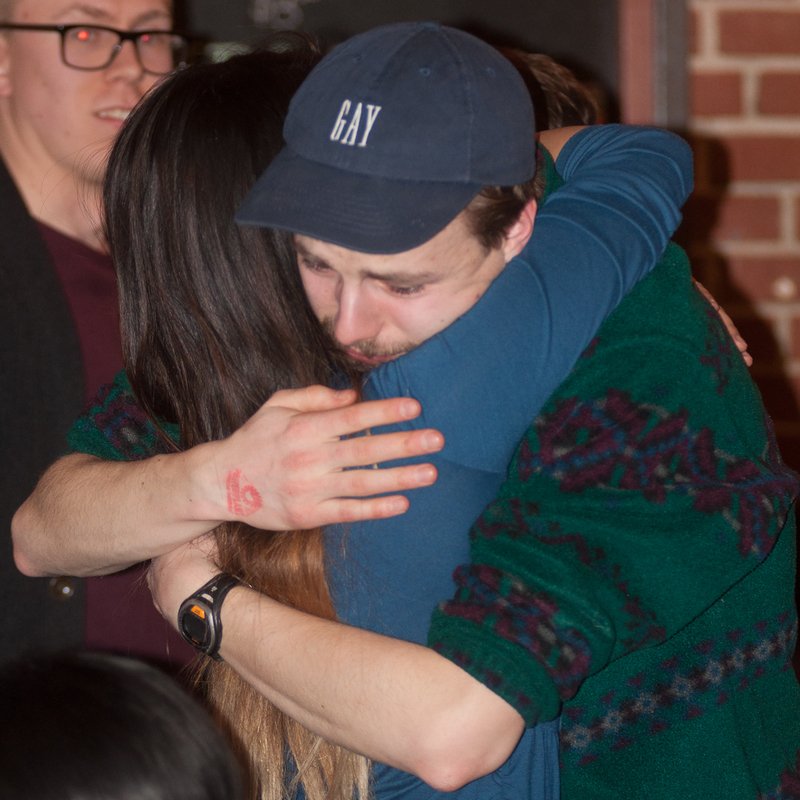 Benoit said his votes represented the students of Campus Saint-Jean. “I wasn’t going to run, but I wanted to make sure our voices were heard,” he said. 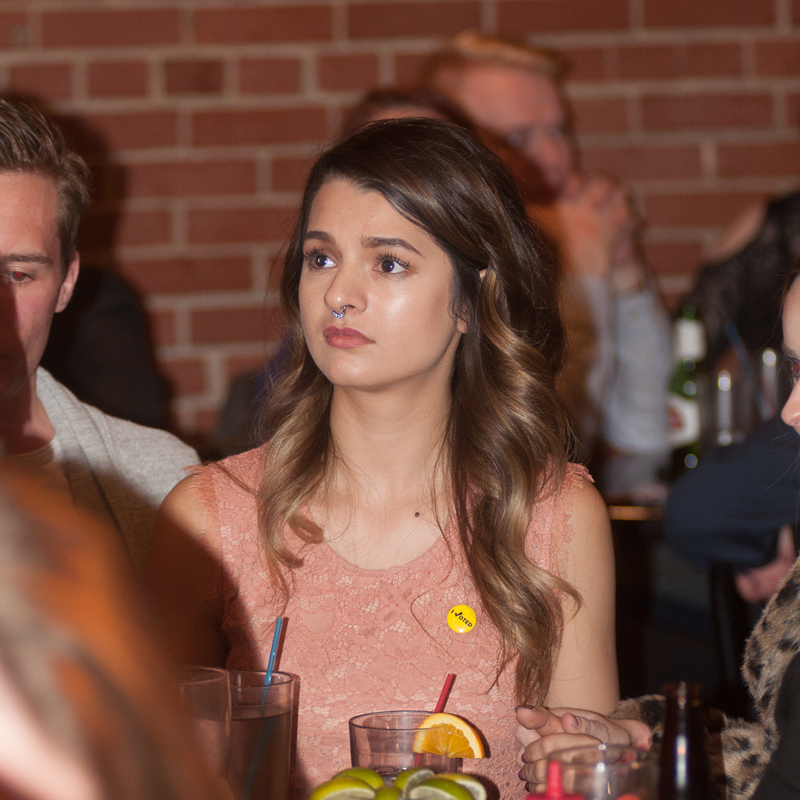 “Some people don’t want to spend six years at the University of Alberta,” he joked. As for Ripka, she said she’s excited to start building new relationships. After three rounds of voting, Adam Brown emerged victorious. In the end, Brown received 57 per cent of the first place votes in the third round. Candidates Jimmy Thibaudeau and Esther Thieba were eliminated in earlier rounds. In his acceptance speech, Brown praised his campaign team and all the U of A students who voted in the election. 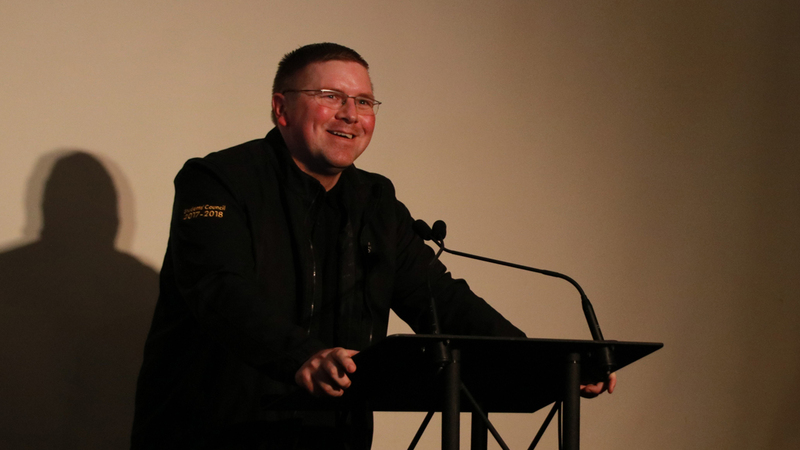 “I want everyone to know that every campus on this university — North Campus, Campus Saint-Jean, and Augustana — are going to be represented,” Brown said. Esther Thieba was eliminated in the second round of voting. Thieba said she was pleased to compete in this “difficult” campaign and hopes to advocate in the future. Thieba said she was excited to graduate this year and see what else is in store for her. Thibaudeau said he was exhausted after a “gruelling campaign.” He said he looks forward to becoming a high school teacher after graduating. Brown’s first priority once in office is ensuring the NDP tuition review is released. The document has been in the works since November and has been delayed several times. “Let’s give students a little predictability in the amount of money that (the government) will give to this university,” Brown said. 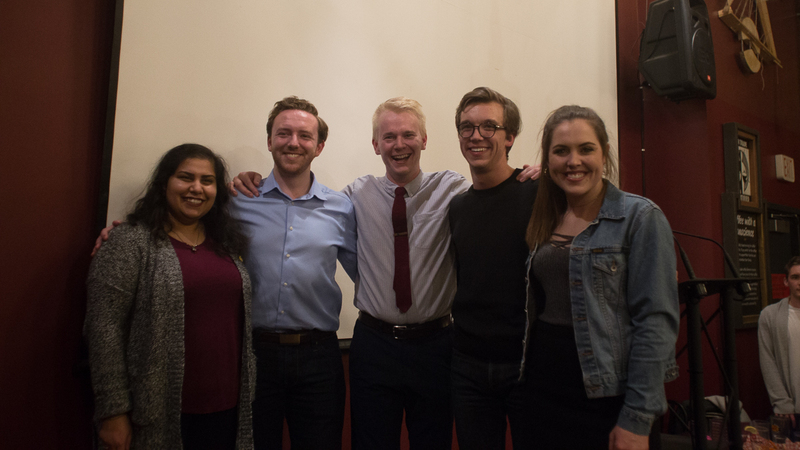 Akanksha Bhatnagar won the close vice-president (academic) race with 55 per cent of the first-place votes in the third round, with Cristiana Pop coming in second and Tiffany Bruce in third. 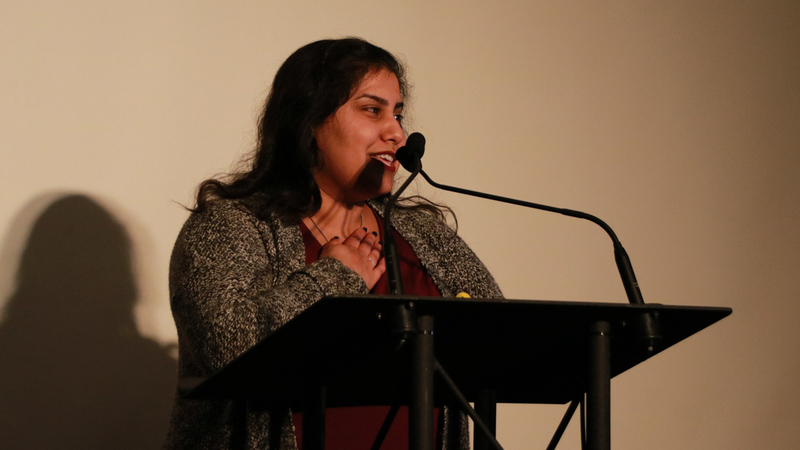 In her acceptance speech, Bhatnagar, struggling to stay composed, thanked her team, supporters, and her fellow candidates for pushing her so hard to succeed. “I can’t wait to show you the dedication that you’ve shown me,” Bhatnagar said to the crowd. Afterwards, Bhatnagar said that she felt exhausted. 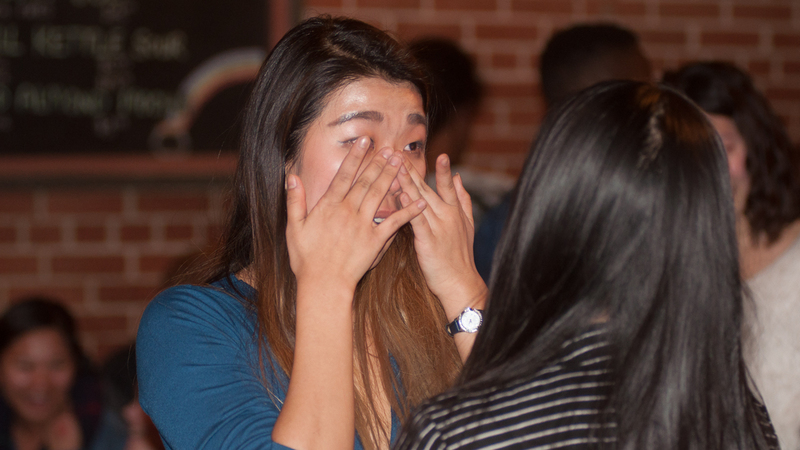 She said she was blown away and that the amount of support she garnered from students, saying it was “unbelievable.” Despite being tired, she said she’s excited to go back to work at Discover Governance while also starting her transition into the vice-president (academic) role. Pop said she wasn’t entirely disappointed with the results of the election, saying she knew that losing was a possibility and that she had a backup plan in case that happened. She thanked her supporters and said she felt humbled and honoured by their dedication to her campaign. After the campaign, Pop said she’s looking forward to taking the LSAT and going to law school after graduation. Bruce declined an interview with The Gateway. 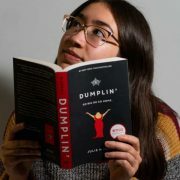 After three rounds of voting, Andre Bourgeois narrowly beat out Michelle Kim for the position, with only 33 more votes in the third round than Kim. 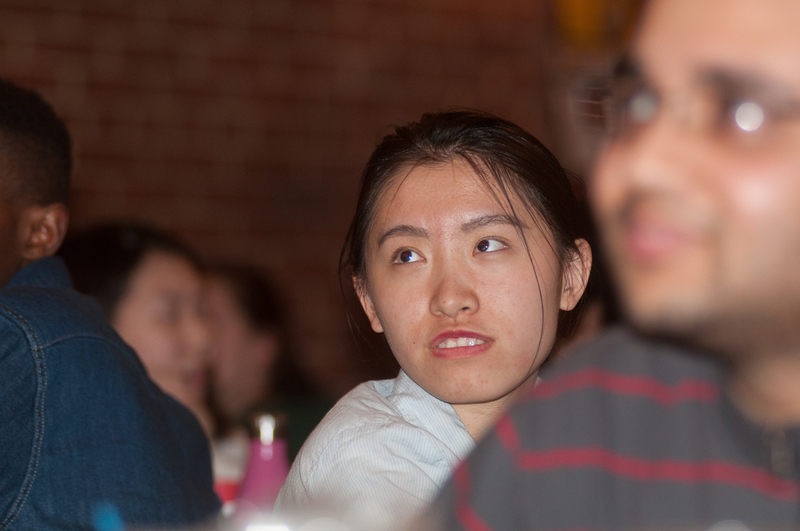 Fellow candidate and HUB Community president Michelle Kim came in a close second. Candidate Stephen Raitz said that while he’s disappointed he didn’t win, he’s touched by the overwhelming support he’s received. Raitz also joked about possibly launching a new food delivery service on campus. 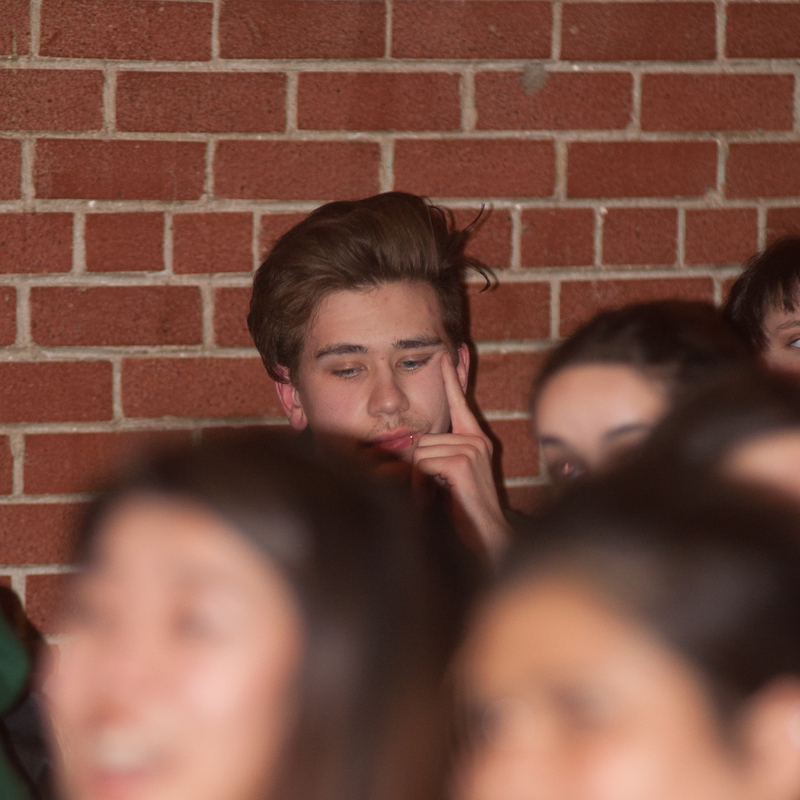 While Bourgeois said he’s excited to have won, he remains disappointed that the Students’ Event Initiative failed. 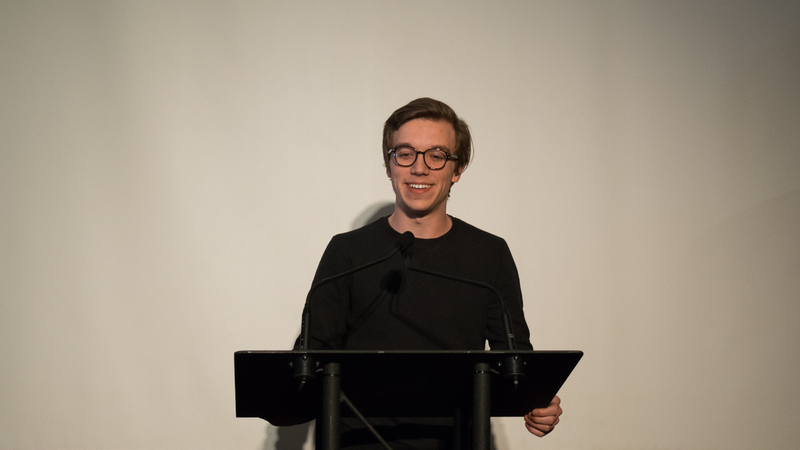 Levi Flaman will be next year’s undergraduate Board of Governors representative, winning 55 per cent of the first-place votes against his opponent Yiming Chen. Flaman said his first order of business will be looking into allowing students to observe the proceedings of the Board of Governors meetings. 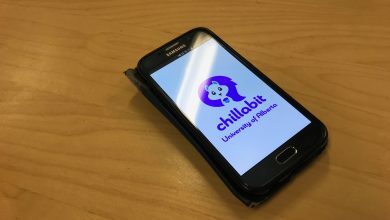 “I think that any student who is interested in coming to the board or seeing what the board’s about, especially when they’re discussing an issue directly relating to students they need to know what’s going on,” Flaman said. Chen thanked all her supporters. When asked how she was feeling, she said “relaxed.” She also said she will be running again next year, but that she is uncertain for which position. 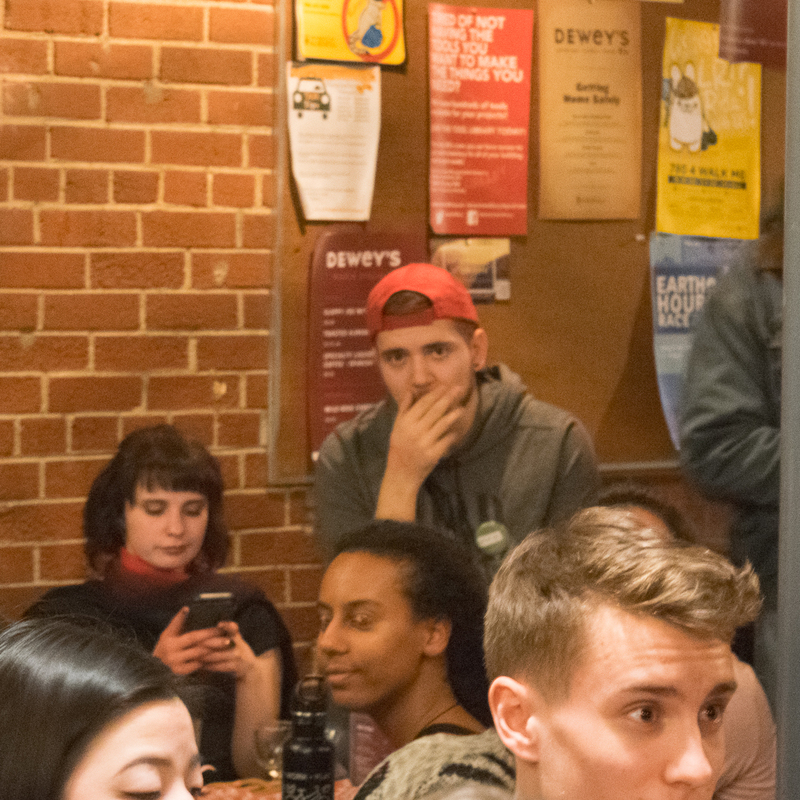 The Student’s Events Initiative referendum did not pass to gasps from the crowd, with 49 per cent of students voting “no” (six per cent of the ballots were spoiled or unmarked). 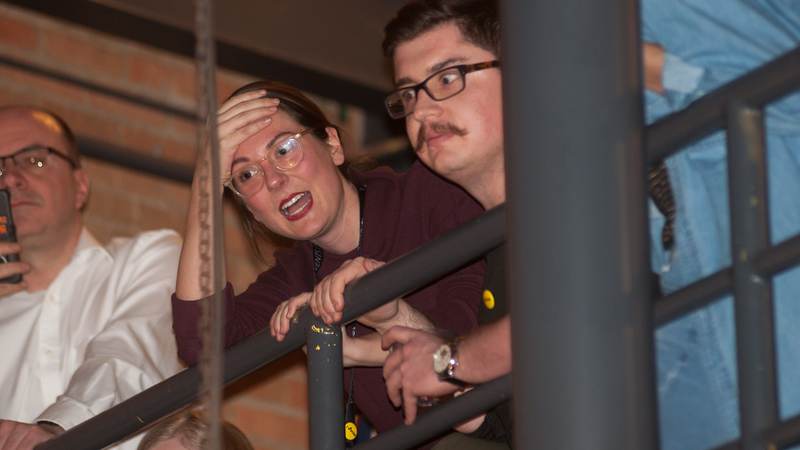 The referendum asked whether students supported paying $8.25 each semester until 2020, and $16.50 each semester after 2020 to support major renovations to the Myer Horowitz Theatre and SUB, as well as providing $200,000 in funding for event grants and programming. Nordell said there will likely be another campaign next year for the referendum to pass, while taking students’ feedback into account. 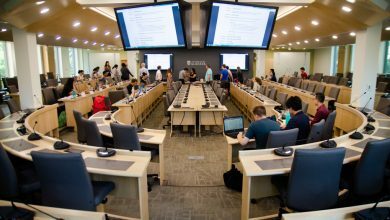 The $4.10 per semester fee that students already pay will be renewed, passing by 59 per cent of the vote (five per cent of the ballots were spoiled or unmarked). The fund contributes to over $290,000 in granting for recreation on campus, including intramurals, dance, trips, and other services.